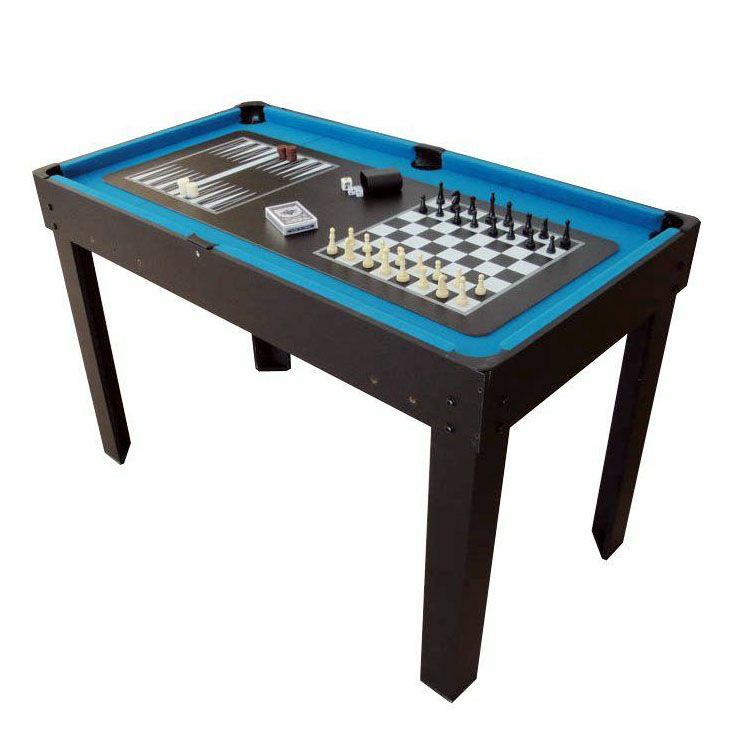 The BCE 4ft 21 in 1 multi games table provides a huge variety of entertaining games for the whole family and moments with friends. It features a sturdy and stable construction and comes in an elegant black finish. 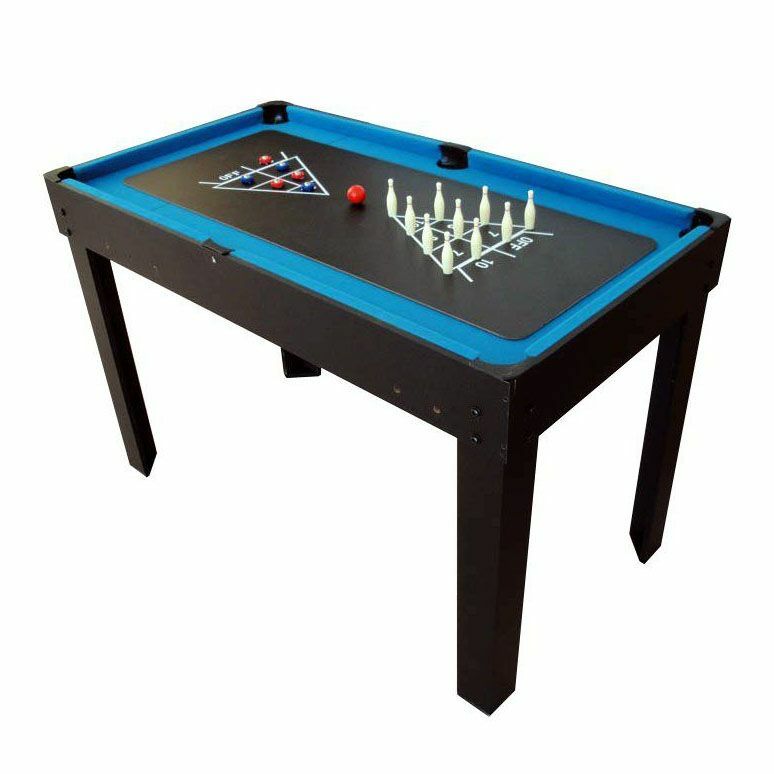 The table is supplied with all the necessary accessories to play games such as table football, pool, snooker, table tennis, backgammon, chess, checkers, bowling, shuffle board, dice, playing cards, pick-up sticks, magnetic darts, magnetic targets, dominoes, O&Xs, horseshoes, marbles and ring toss. It also includes a white board that allows for even more game options. 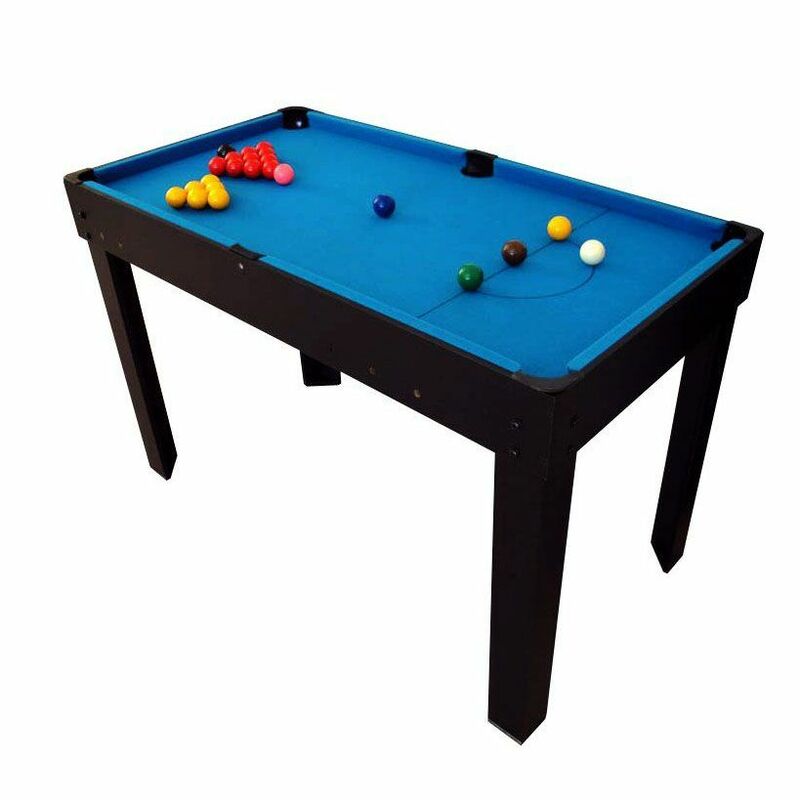 The multi games table is supplied with cues and pool and snooker balls to let you play both games. It also features hidden drop pockets that make the table look professional. 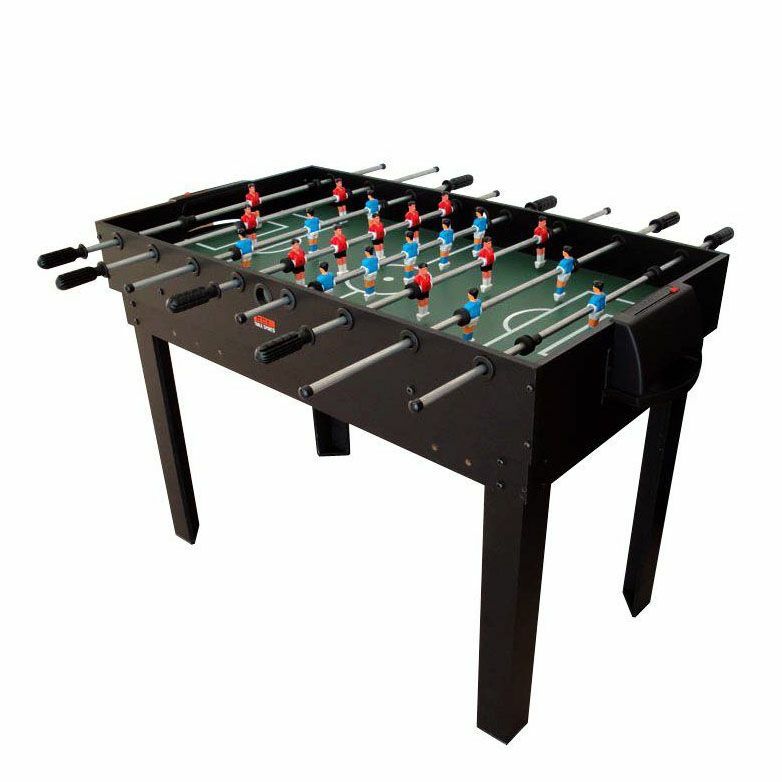 The table football top comes with sturdy metal rods with grip handles. It has an attractive design with the red and blue players standing in a 1-2-5-3 formation on an excellent looking green surface. The tennis table top comes complete with 2 bats, balls and an easy to attach net. The table tops fit easily onto the table and can be slotted together for storage. 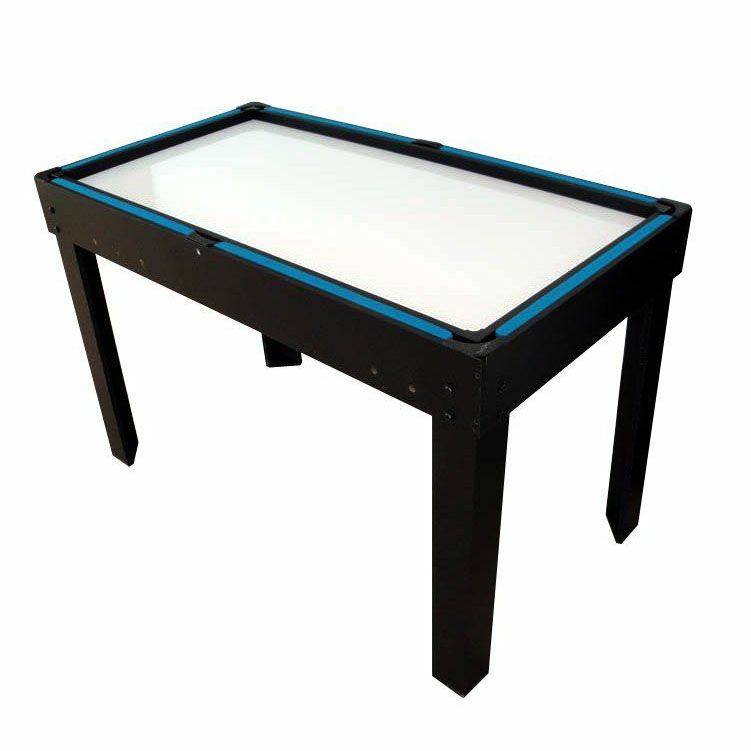 The table is supplied with a useful carry bag that provides convenient transportation of accessories. for submitting product review about BCE 4ft 21 in 1 Multi Games Table.